Cornbread is a staple in the typical Southerner’s diet. It is used to soak up your favorite stews, as a side with your collard greens, or simply serve it with butter for breakfast. While delicious just as it is, cornbread adapts to all kinds of personal touches. 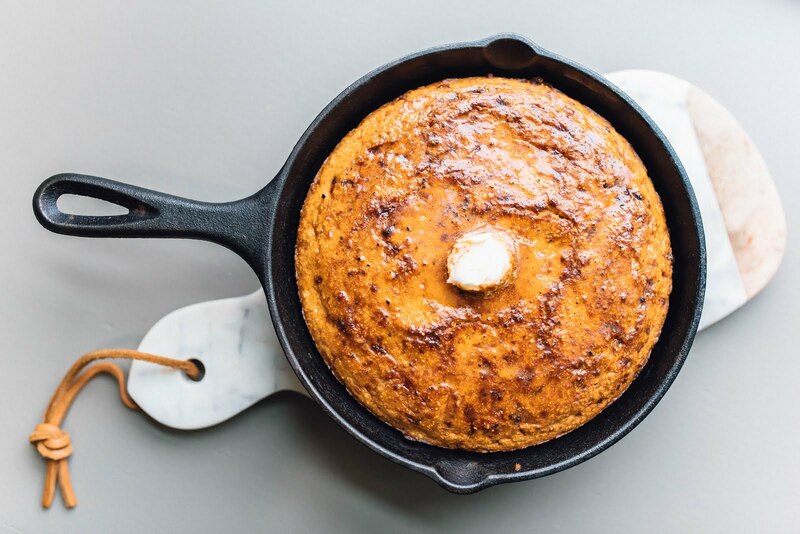 So we added our famous pimento cheese to this cast iron cornbread. The star in this recipe is Jay D’s Spicy and Sweet Rub; mix it in the butter slathered on top before chowing down. Preheat oven to 350℉. Combine dry ingredients. Add all wet ingredients plus pimento cheese. Mix until combined. Place in buttered cast iron skillet. Bake 35-40 min or until golden brown and is pulling away from skillet. Place all ingredients into a mixing bowl and allow to marry flavors for at least 30 minutes.